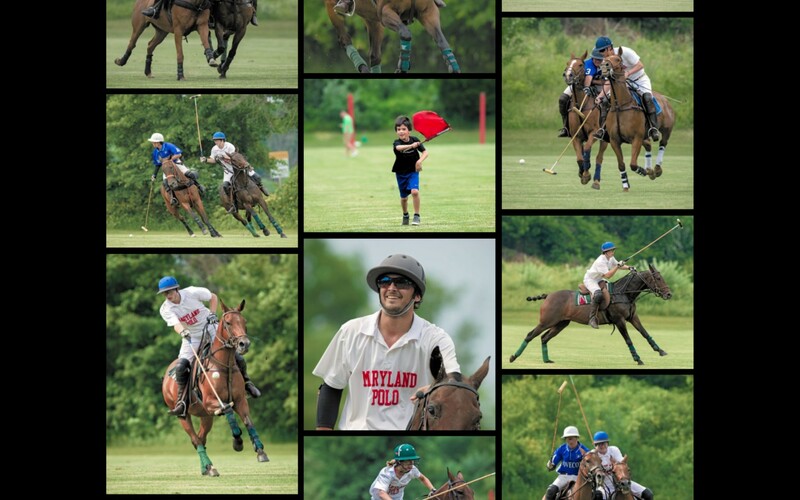 Situated in the heart of Monkton’s horse country, Maryland Polo Club is a diverse mix of players, supporters, volunteers, and friends. Their recent 30th anniversary marked a celebration of the Club’s distinguished history, as well as the launch of their new site. 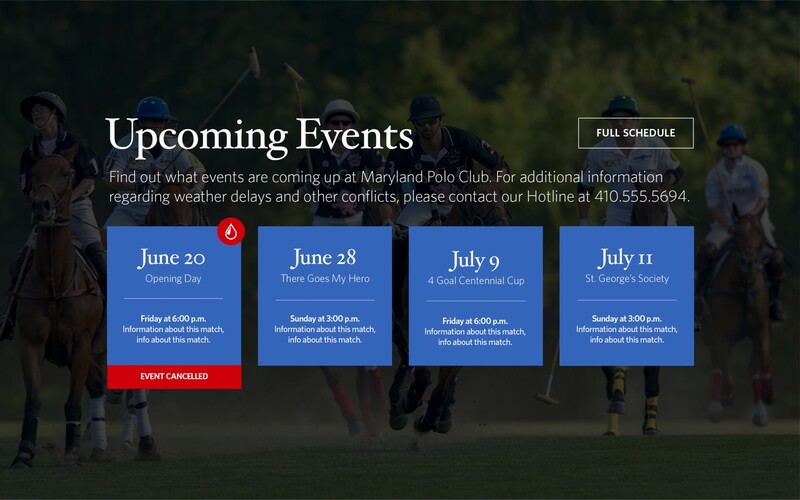 During polo season, there’s always something happening at Maryland Polo Club. From upcoming tournaments to weather-related cancellations, keeping members and spectators informed is top priority. As such, we prominently featured upcoming events on the homepage (equipped with a ‘cancellation’ widget) and implemented a color-coded calendar system for easy reference. All easily administered by anyone on their staff. Great venue + beautiful horses + talented athletes = amazing photos. Naturally, they must be displayed and shared. The new site houses unlimited galleries and photos, promotes local photographers, and encourages fan photo submissions. What better way to celebrate the players than to give them their own profile on the new website? The new site highlights club officers and players with a photo and unique write-up for each. New player? No problem. MD Polo Club can easily add, edit, and remove quickly and easily at their leisure.